It never fails to impress me how RVing gives you a different neighborhood all the time. Sometimes you’re far from the maddening crowd, sometimes you’re next door neighbors with best friends, and sometimes you have a whole new set of neighbors to meet. 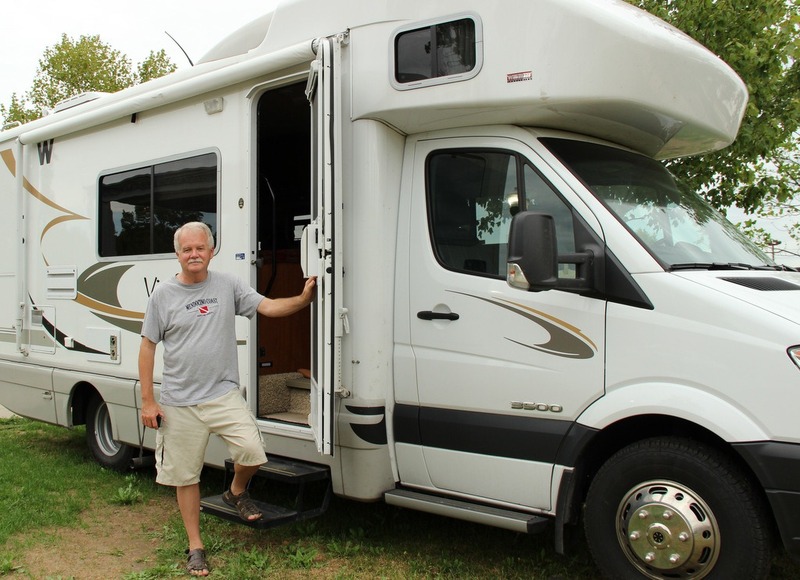 This week at the FMCA convention, there were nearly 2,000 RVs that come together and form a new city for four days. This city sprouts up overnight and disperses 5 days later. Here is a WAY COOL video about one of the RVers here who has a Quadcopter that takes video as it flies overhead. You will see the city I’m talking about here. And, guess what? The Reporter in this video, Mike Wendland, was one of our neighbors! He heard about what we do, and came over to take some video of us. We may be on NBC! I’m sure we’ll be on the video list on his ‘OpenMike’ FMCA page. We’ll post the link when we see it. Mike was staying in the gray Roadtrek in the back of this picture, then next to him, in the white RV is Chuck Woodbury of RVTravel.com. We’ve been reading his weekly newsletter for years, and I’ve even written some articles on his DigitalRVer blog, but we’ve never met in person. No amount of online contact can make the connection that you get from spending real time with someone. Because Chuck was in our neighborhood, we even got together for dinner, and other friends popped in as well – Phil and Tracey from TechnoRV and their dog Murphy. We all had a great time swapping stories. 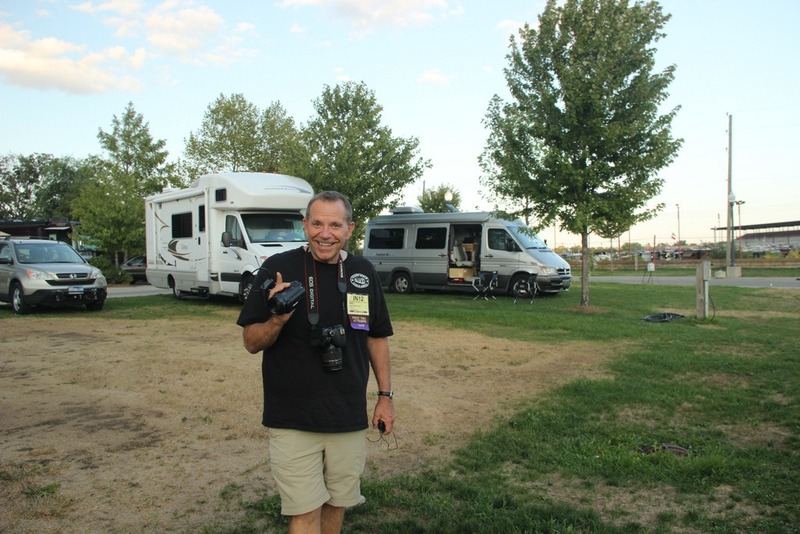 Chuck took a great video walking all around the FMCA ‘city’ – this will give you an idea of what I’m talking about – from ground level. All good things must come to an end. The 2,000 homes that made up our town for the last few days just started the ignition and drove away! Our next stop is the Gypsy Journal Rally in Celina, Ohio. Published by MrsGeek, in Blog. Tagged with fmca, OpenMike, RV Rallies, RVTravel.com.